When Adil Mijit visited his daughter and son-in-law in Istanbul in 2017, they begged him to stay there. A number of the Uighurs Muslim comedian’s friends and colleagues in the western province of Xinjiang had disappeared, and they worried he could be next. “We told him, ‘Why don’t you just stay here? Leave everything and stay here if this is your concern,” Mijit’s son-in-law Arslan Hidayat told As It Happens guest host Helen Mann. Uighurs are an Muslim ethnic minority in China. They face intense security and surveillance by Chinese authorities looking to crack down on extremism and separatism. 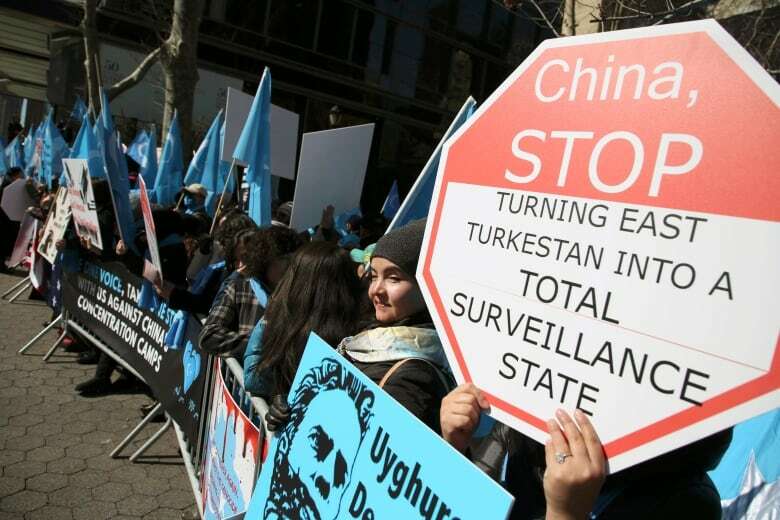 Human rights organizations and the United Nations have estimated there are more than one million Uighur Muslims locked up in massive Chinese detention or “re-education” camps. Now, Mijit’s family fears he’s one of them. He hasn’t been seen or heard from since early November. “In our hearts, we knew it was only a matter of time before they would take him as well,” Hidayat said. Mijit, 54, was a a popular comedian in Xinjiang, where he performed hundreds of shows each year. Two weeks before he went missing, he underwent heart surgery, and his daughter told Adile told Radio Free Asia that she’s worried about his health. The family has no direct evidence Mijit has been detained, but says they have received information from trusted sources. As It Happens has reached out to the Chinese embassies in Canada and Istanbul for comment. “There is nothing official that has been sent by the Xinjiang authorities or the Chinese authorities — and this is quite typical,” Hidayat said. Not only does China not comment on individual cases like Mijit’s, but the country denies the existence of the Uighur camps. Canada is one of several countries that have spoken out against the camps. “Canada recommends that China release Uighurs and other Muslims who have been detained arbitrarily and without due process for their ethnicity or religion,” Rosemary McCarney, Canada’s envoy to China, said in November. Written by Sheena Goodyear. Interview with Arslan Hidayat produced by Kevin Robertson.